In 2025, the Library of Alexandria controls everything, but especially the storage and trade of original paper books. The flow of knowledge to the populace is tightly controlled through blanks – e-book-like devices controlled by alchemy. Jess and his friends are now aware of just how tightly the Library is suppressing heretical knowledge, and when Jess uncovers information that makes him think that their friend Thomas might still be alive and being held by the Library, he and his companions Glain, Khalila, Dario and Scholars Wolfe and Santi hatch a plot to rescue him. I was really looking forward to reading more about this world of the Great Library. Ink and Bone had such wonderful world-building, and with the added bonus of characters who loved books as much as the rest of us do, it was a really enjoyable alternate-future world with a steampunk feeling. Unfortunately, the first half of this one was spent in the military training academy, and it took them almost the whole story to get out of Alexandria. 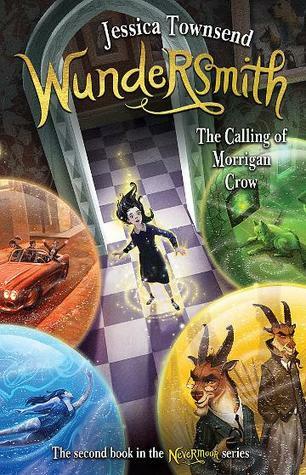 There are some mild skirmishes before that, but they don’t really drive the story forward, and the sections where Morgan appears feel like they might have been shoved in as an afterthought. The not-quite-romance between Dario and Khalila was more interesting to me than Jess and Morgan trying to light their dull spark. The ending was suitably epic, though, and I might have cried a little in the section with the Black Archive. With the way book three is heading, each of these books has quite a separate focus – looks like we’re finally in for some revolution in book three. I just hope the pace picks up and we get to see more of this amazing world.